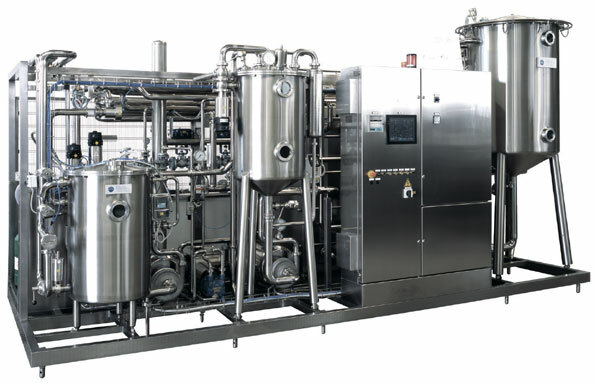 Plate UHT system | Reda s.p.a.
REDA S.p.A. plants of the series APR-UHT are automatic sterilizing lines for the aseptic processing of liquid foods, where the product is heated in an indirect way, therefore without direct contact with the heating means. Heating happens “softly”, thus respecting the qualitative characteristics of the product. The heat exchanger of these plants is of the Plate Type, with a very high thermic recovery system. Their total automation gives an absolute guarantee of sterility and quality of the treated products. These plants, very compact, are conceived, built and pre-assembled for an easy and very quick installation on the customer’s site.